Due to heavy rain in Central Florida during the summer months, some evening sunsets provide striking color as a backdrop for wildlife. 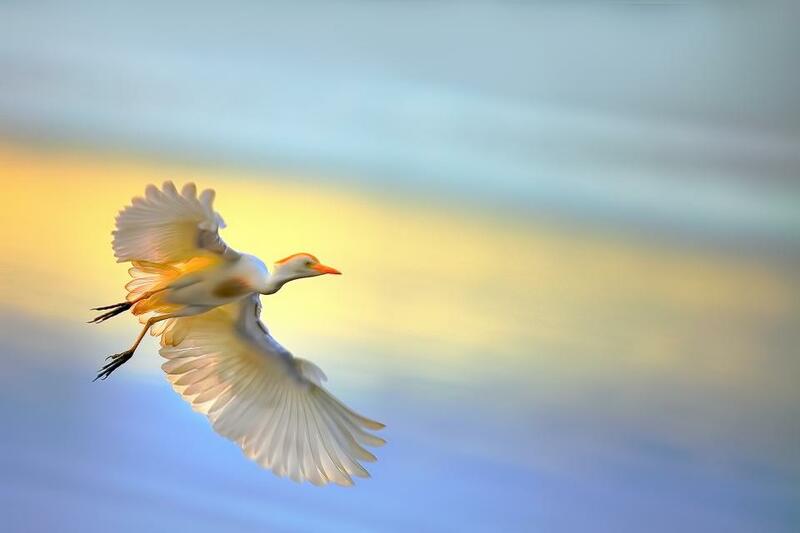 This image in particular is just such an example of a Cattle Egret on a close approach to landing on the shoreline of Lake Jesup. Captured with a Canon EOS 5D, Mark II with a Canon EF 100-400mm f /4.5-5.6L IS II USM Lens, f/3.2, 1/800, ISO 100.